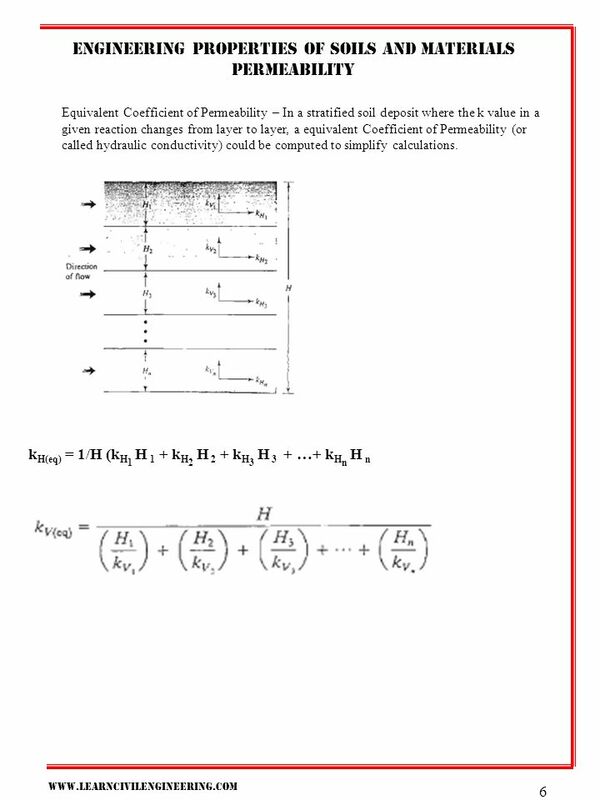 Download ppt "Engineering properties of soils and materials"
Cellular Automaton Wave Propagation Models of Water Transport Phenomena in Hydrology Robert N. Eli Associate Professor Department of Civil and Environmental. 1 Soil mechanics Lateral earth pressure References: 1. Budhu, Muni, D. Soil Mechanics & Foundations. New York; John Wiley. 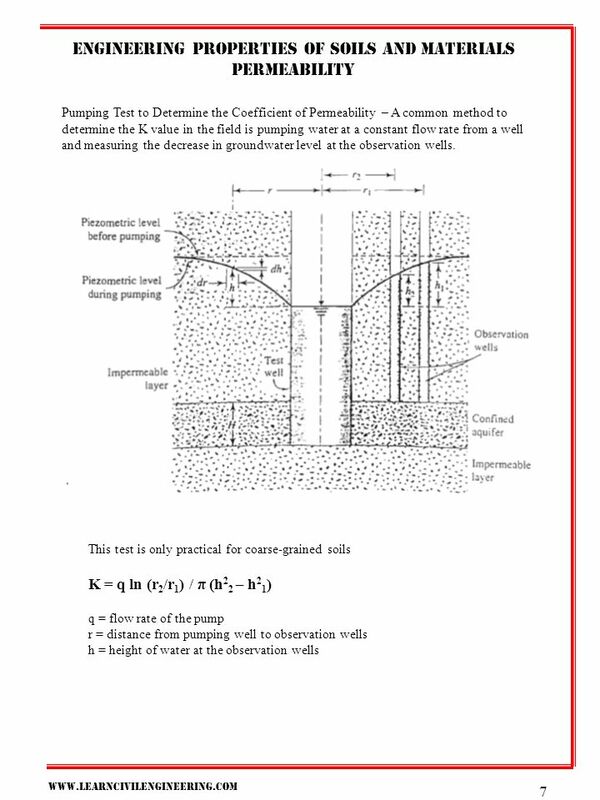 Introduction to Environmental Engineering Lecture 15 Water Supply and Groundwater. 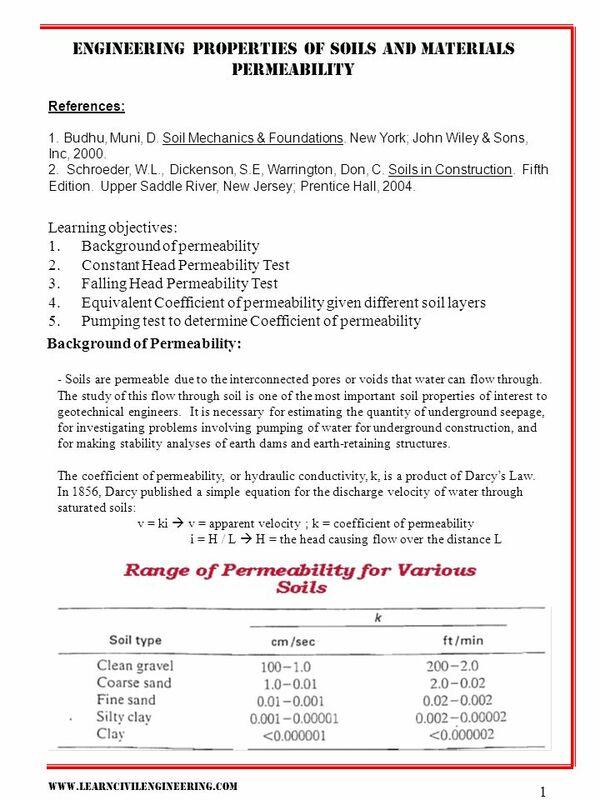 TOPIC 2 STEADY STATE FLOW THROUGH SOIL Course: S0705 – Soil Mechanic Year: 2008. 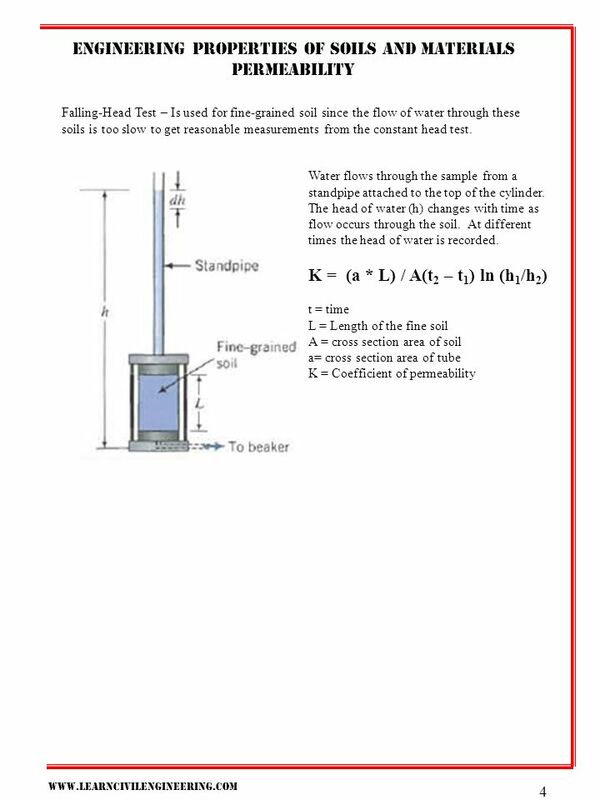 1 Soil mechanics Effective and total stresses References: 1. 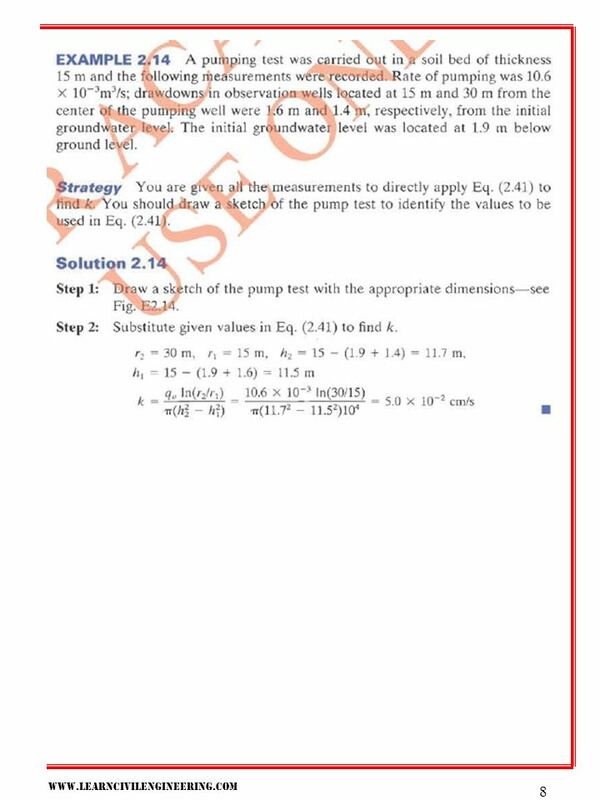 Budhu, Muni, D. Soil Mechanics & Foundations. New York; John. STABILITY ANALYSIS IN PRESENCE OF WATER Pore pressures Rainfall Steady state flow and transient flow. 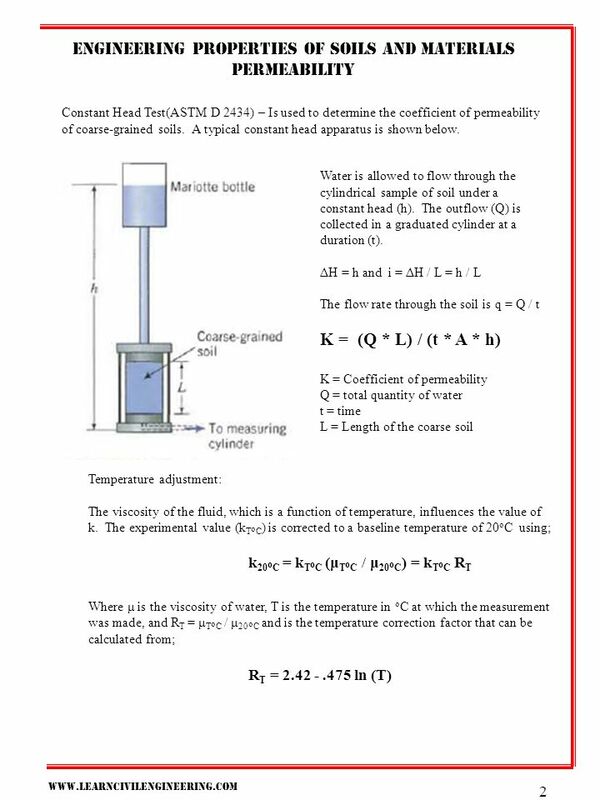 Measuring Erodibility of Cohesive Soils By Gregory J. Hanson USDA-ARS Hydraulic Engineering Research Unit. Features of POLLUSOL Flow model Flow model Homogeneous, Isotropic, Heterogeneous and Anisotropic medium Homogeneous, Isotropic, Heterogeneous and Anisotropic. 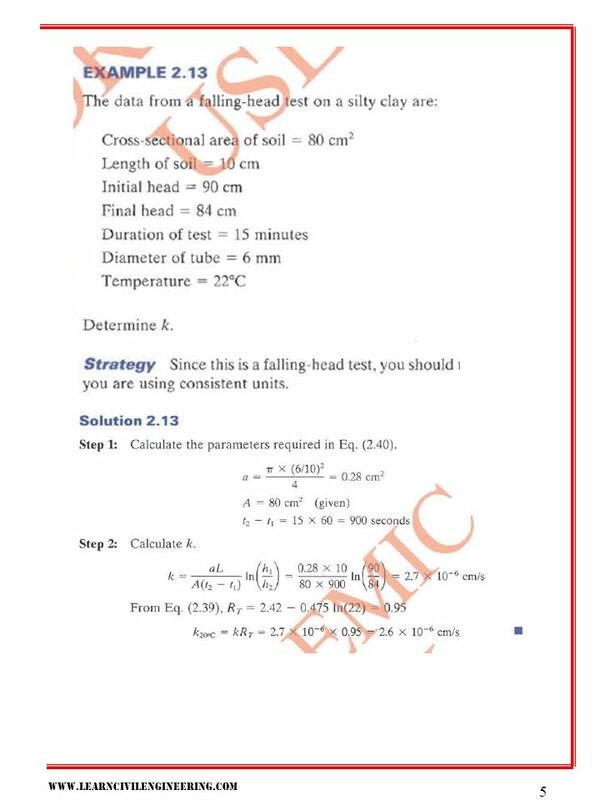 1 Soil mechanics Consolidation References: 1.Rajapakse, Ruwan. 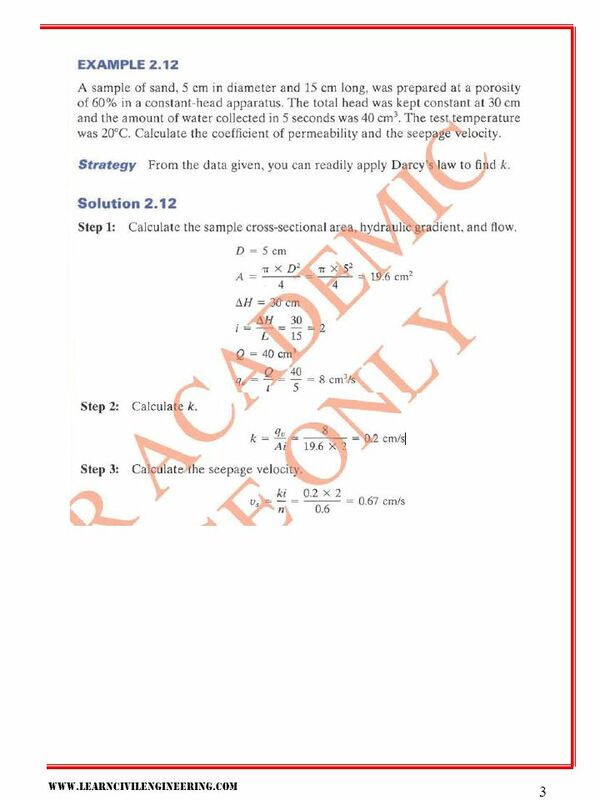 Geotechnical Engineering Calculations and Rules of Thumb. Bridge A bridge is a structure that connects two roads across a waterway. Head losses occur while water passes through the bridge between its walls. Head. Dr. Martin T. Auer Michigan Tech Department of Civil & Environmental Engineering Water Supply. 294-7: Effects of Polyacrylamide (PAM) Treated Soils on Water Seepage in Unlined Water Delivery Canals Jianting (Julian) Zhu 1, Michael H. Young 2 and.